Are you Third Screen Marketing enabled? For years, I have been asking “Do You Convert”? Now I have to ask does your website convert for the mobile internet. Internet enabled phones hit today’s market at an astonishing rate, resulting in a mobile internet boom. Hence, third screen marketing. With this trend we must now ask, does my website allow for a positive consumer experience on the mobile web? If not, do not feel alone because less than one percent of today’s websites are optimized for the mobile internet. This is no accident, the mobile internet operates by a different set of standards than the PC internet we all know and love. While in Las Vegas for the International Builders Show, I had the opportunity to meet with mobiManage and learn more about how they help businesses leverage the mobile internet to reach potential customers. They build certified .mobi websites and are leading the mobile website industry from Tulsa, Oklahoma! 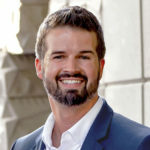 Founder & CEO, Jeff Beasley, is committed to helping real estate professionals understand the mobile internet and apply a strategic solution in today’s market. Jeff is one of thirteen individuals who sit on the international .mobi Advisory Group Steering Committee and has been recognized for his achievements in technology. Talk about insight into the world of the mobile internet and how to develop a relevant mobile strategy for your business. In Q1 of 2008, 144 million US mobile subscribers were data users. 95 million US mobile subscribers paid for access to the mobile internet. Internet users: Ages 25-34 made up 27.4% overall usage while ages 35-54 made up 37% of overall mobile internet usage. Do any of these age groups represent your home buyers? The U.S. leads the world in mobile internet usage penetration. I welcome your feedback on what you are doing to leverage the mobile web in your business.